On International Men’s Day, Sunday 19th November 2017, South African men from all walks of life to unite under a clarion call of Ending Gender Based Violence in particular, and all forms of violence in general by participating in the “Takuwani Riime” Men’s March taking place at the Parliament of the Republic of South Africa, Cape Town, from 11am to 4pm. 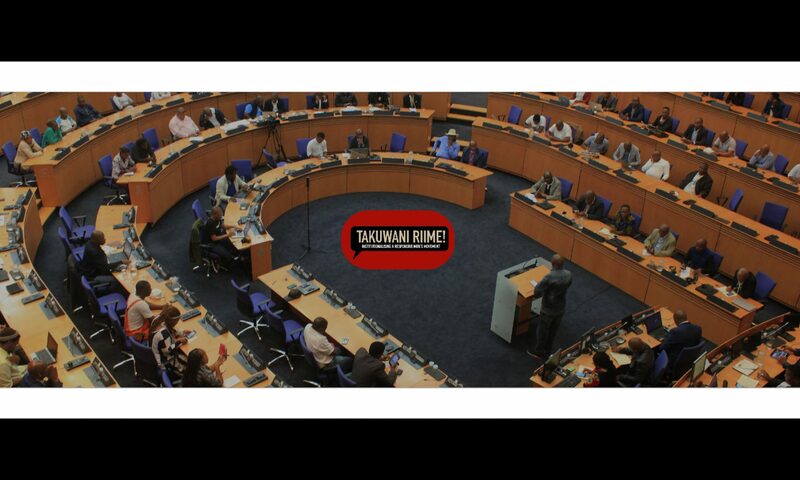 “Takuwani Riime” is a Venda expression meaning: “Let Us Stand Up Together.” A call to action aimed at bringing together developmental partners, government, business, labour, civil society and ordinary South African men to stand up and be counted as relevant. “The majority of organisations working with men and boys lack the capacity to adequately respond to social challenges faced by our communities. The “Takuwani Riime” Men’s March, upholding the principles of partnership for development, seeks to mobilise men’s associations to join together with their partners to strengthen civil society, especially men’s responses and campaigns,” says Mr Mabalane Mfundisi from South African National Aids Council (SANAC). The “Takuwani Riime” Men’s March, follows the “Takuwani Riime” Men’s Round-Table Dialogue held in August 2015, led by Deputy President Cyril Ramaphosa in his capacity as the SANAC Chairperson, which advanced the &quot;Not in Our Name&quot; National Men&#39;s Dialogue and Men’s Rally launched in April 2013 and August 2013 respectively, by former SANAC Chairperson and Deputy President Kgalema Motlanthe, where men from all walks of life engaged on issues of gender based violence &amp; signed a Declaration by the Men of South Africa on the Elimination of Violence Against Women &amp; Children. The South African civil society movement has historically engaged in mass mobilisation and community dialogues to respond to the challenges confronted by our communities. The “Takuwani Riime” Men’s March advances this tradition in turning the tide through addressing the social determinants of health for sustainable development in our communities.